Purdue University and partners wanted to pilot a zero waste compost program as proof of concept in an athletic venue. 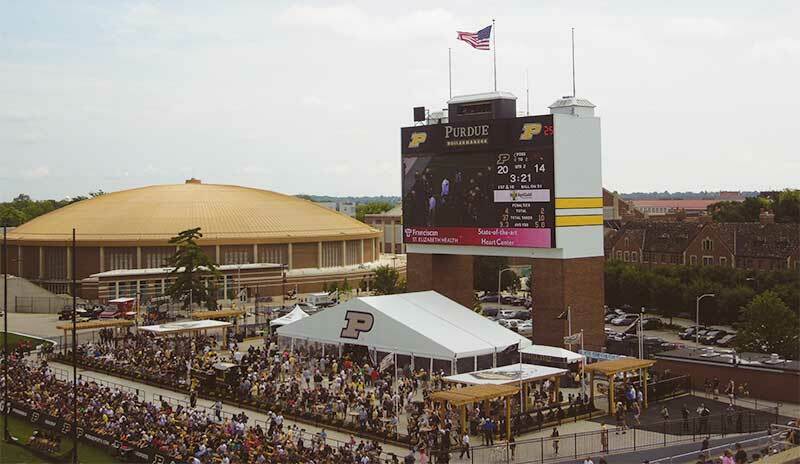 Specifically, the program involved working in the Ross-Ade Stadium South End Zone Patio area throughout the 2014 Purdue Boilermakers football season. The patio is a new venue for 1,500 season ticket holders and VIP card members. Those who have a pass are allowed to ‘tailgate’ within the patio area during the game. The patio area serves guests snacks and alcohol; this venue is the second to serve alcohol to the general public in the Big Ten. The objective of the pilot program was to learn by doing with the goal of providing proof-of-concept that zero waste (greater than 90% diversion rate) was possible and manageable within the athletics setting. This waste included cold cups, lids, food trays, and any other compostable and recyclable items served in the South End Zone Patio area. The concept for the pilot was based on the success of Purdue’s Black & Gold & Green Tailgate Team recycling program launched in 2012, which increased tailgate recycling rates from 6.5% (2012) to 44.6% (2013). Eco-Products provided compostable GreenStripe® cold cups and hot cups (Ingeo-based), paper food trays and cutlery. 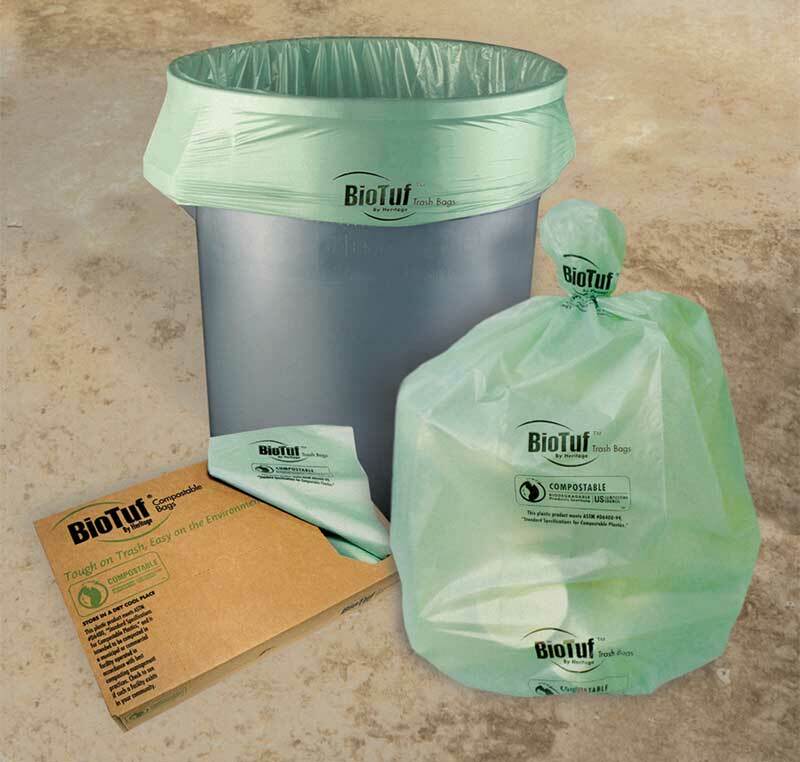 Heritage Bag Co. provided compostable waste station liners made from Ingeo-based film. Second, the project had to create an infrastructure that was effective and worked within Purdue’s existing operational framework. Dual-compartment waste stations were labeled as “Mixed Recyclables” and “Compost.” Signage was developed for the waste stations which included pictures of the actual compostable items for clarity. 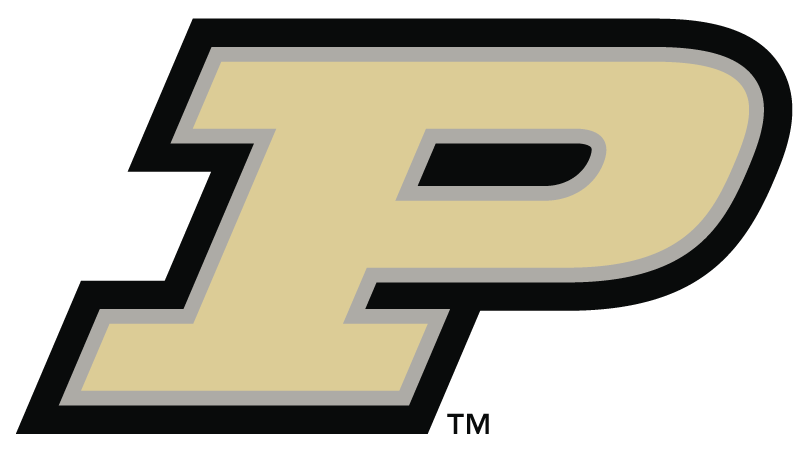 Purdue Athletics Facilities managed the solid waste logistics, and the team worked with GreenCycle of Indiana as a permitted compost facility on environmental issues. On-site sorting after each game identified and quantified contamination. Switching to all-compostable food serviceware provides our guests the opportunity to support the environment and their communities, while recognizing the leadership efforts of a local brand they know and trust. To close the knowledge gap – not everyone understands the difference between recyclable and compostable – the program utilized ambassadors/instructors to steer fans in the right direction. Members of Purdue University's Engineers for Sustainability volunteered and took on the role of ambassadors. Ambassadors’ engaged fans alerting them to what went where. They also explained the difference between recyclable and compostable materials. Ambassadors were outfitted in easily recognizable t-shirts. And, there were plenty of signs alerting fans to the program. Incremental changes were made from game-to-game which improved overall performance with a “learning by doing” attitude. The goal of achieving zero waste by the final home game of the 2014 football season was achieved with a 98.2% diversion rate, and the pilot program's success was first presented at the Green Sports Alliance Summit in 2015.